Double-tipped calligraphy markers available in 48 colors. 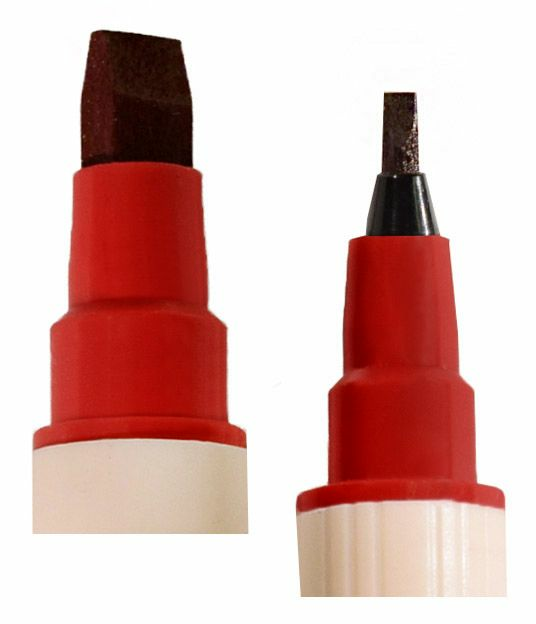 One end has a 5.0 mm square tip while the other has a 2.0 mm square tip. An exciting marker which opens up new possibilities in the art of fine handwriting! These markers use a water-based ink that will not bleed and is photo-safe and waterproof. Archival quality, light-fast, acid-free. Click HERE to find a selection of Zig Calligraphy Marker colors at a special sale price! **Note: These colors MUST be purchased from the special sale page to get the sale pricing.